A solution to help consumers to reduce food wastage by managing their groceries, automatically. Wasting food also means wasting the chemicals, fertilizers and natural resources like water soil nutrients which went into the production, and the fuel used for its transportation. Rotting food also creates harmful greenhouse gases like methane. After a thorough research, we have learnt that household wastage accounts for over 44% of the total food wastage of the world. Most of the households tend to throw away the food because they have left it in the refrigerator and have forgotten about it. Tokyo alone produces 6000 tons of food waste every day. We believe that it is alarming and felt the urge to solve this problem in the ways we could imagine. 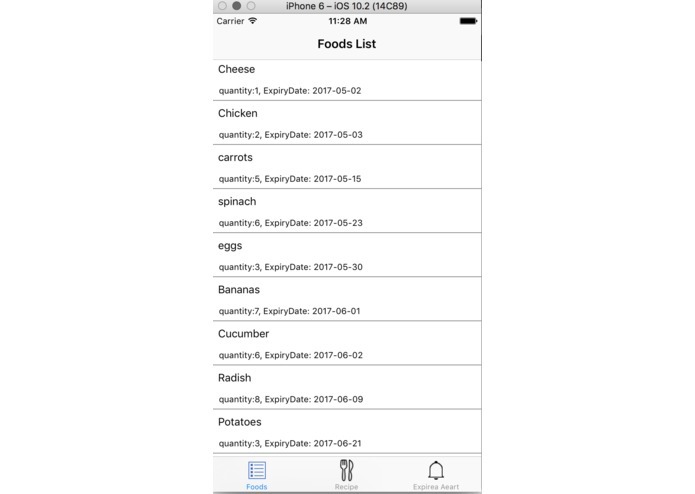 Our app automates the process of synchronization of the list of purchased groceries with the smartphone, so that the user can be updated in real time about the groceries which are going to expire. 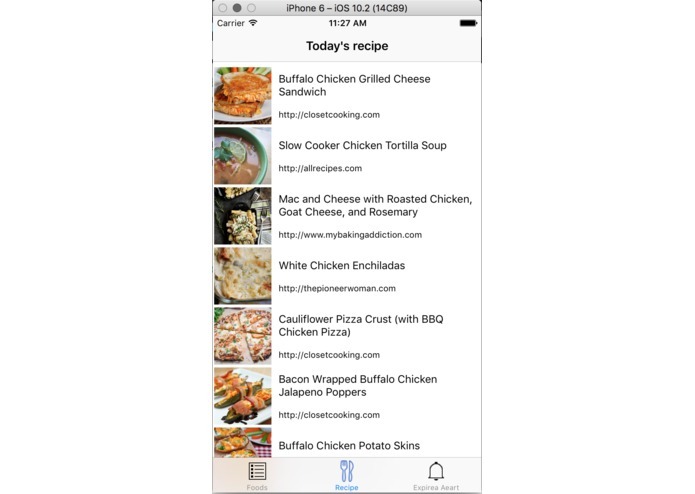 The app communicates with the database of the supermarket, and transmits the list of foods purchased to the user’s smartphone immediately after the purchase is made. Once the expiry date of the product, say spinach, approaches closer, the app suggests possible recipes with milk such as salads, spinach-dips or spinach lasagnas etc. This way we can prevent the loss of food by consuming it before the expiry. We have gone through the 5-step rigorous process which involves empathizing, defining, ideating, prototyping, and testing. Empathizing: We researched, debated amongst ourselves and by recalling the instances when we wasted the food. Defining: We defined our problem by referring to the statistics, where became aware that 44% of the total food waste is due to households. We could pinpoint our problem. Ideation: We came up with a sorting algorithm for vegetables based on a rule of thumb, the rate of rotting of vegetables: leafy vegetables > soft vegetables > tubers > roots > stems etc. The algorithm gathers data related to the purchased foods, sorts them based on the expiration dates and calls a recipe recommendation API to gather the possible recipes based on the time period left for the food. In other words, the lesser the time left for rotting, the higher is its priority. Prototyping and testing: We put together the powerful cloud computing/ storage tools of IBM’s Bluemix Cloudant’s services, React JS, python and application development environments like Android studio, React Native. We have used the cloud services to store the data and constantly monitor the countdown to the expiration date. Firstly, narrowing down on the idea was the biggest challenge. We came up with several different ideas, but we had to decide on our “Normandy”. We could successfully pin-point the biggest source of wastage, i.e. the wastage that happens after purchasing the groceries. Most of the consumers tend to forget the expiration date, which leads to the waste at houses. Next, identifying the users’ needs and coming up with a plan and a framework for the app was a challenging task. We brainstormed our way out of this one by coming up with a framework for the app, UI designs and the features. Lastly, we had the technical challenges. Most of us have not used the software like Bluemix Cloud services, etc. Accordingly, the amount of time spent on setting up the environments and figuring out the syntax, was a challenging task. Technical challenges also meant that we had to think through the system’s feasibility. We believe that the app is commercially viable as it doesn’t require any additional installations in the super market and can be implemented using the existing BCR technology. Met a lot of cool people and became a part of one of the best developer communities in the world. 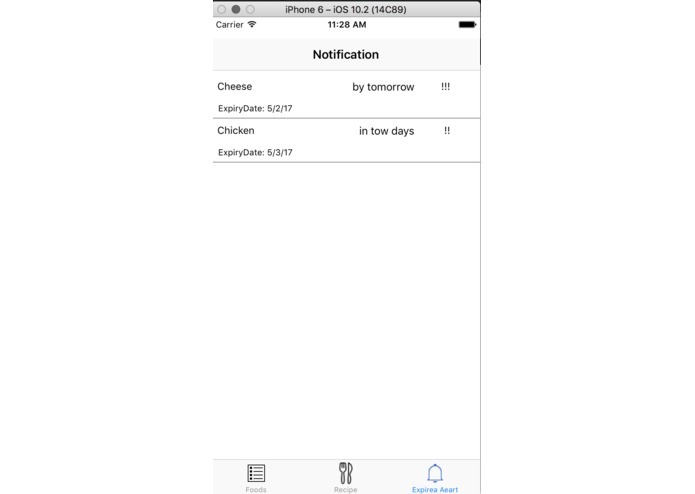 Built an app with the potential to reduce the wastage of food by 30%. Understood ideation and execution issues, under limited time. Challenged our logical and understanding capabilities and pushed our limits by trying new software such as Bluemix for the first time. We have learnt about pitching and designing ideas. For most of us, it was our first hackathon in an international setting. We also felt that a hackathon is not only about coding. We learnt the importance of ideation, designing, and the most important of all team work and improved our debating skills. Forecasting food consumption patterns of users and helping them build healthy and efficient diet which acts a method to correct both the diet and the wastage problem. I worked with database management and the barcode reading system. A mechanical engineer currently pursuing a master’s degree at Tokyo Tech. I worked on the idea, the design and the marketing of the idea and pitched it on stage. I worked on market research, analyzing the core of the problem and the viability and effectiveness of the solution.